Are you planting a church or a campus? Recruiting a core team is challenging, yet essential. Although it will take time and effort to find the right team members and train them, without a team, you are essentially limiting the growth of your church. A core team will help you lay a scalable foundation for the birth of your church or campus. So you can’t afford to launch without one. 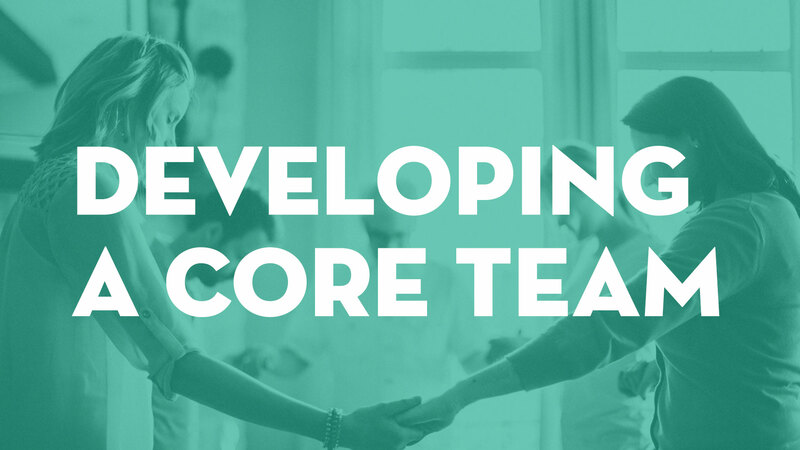 The Developing a Core Team course will help you build the ministry muscles required to launch well and position yourself for years of fruitful ministry. Instead of placing doers, learn how to develop equippers for ministry! Not only will you learn how to recruit a core team, but in this course, you will be provided with the nuts and bolts for how to train them and release them into ministry. This includes a 12-week training outline with teaching notes to help you prepare your core team for launch. This course includes 6 enhanced modules, 2 hours of HD video, and 24+ handouts. And it's all yours to keep and revisit for as long as you need it. The first three modules are free. If you like what you see, then you'll love the additional depth, insight, and templates in the remaining three modules. You won’t find this exclusive course anywhere else, so don't miss this essential training so that you can launch well. If you're getting ready to plant a church or a campus. If you're trying to figure out who should be on your team. If you're wondering how to train your core team to be equippers, rather than doers. If you're trying to recruit owners instead of hirelings. If you want to equip your team to be on mission with you. This course is for you. In addition to templates and handouts, this course will provide you with a 12-week training outline and teaching notes to help you prepare your core team for launch. Learn 10 steps to recruiting a core team for your campus or church plant. Who needs to be a part of it? What are you inviting them into? Develop an overall strategy to train your core team. Learn about the essential elements for a successful training process. Learn a 12-week leadership development process to training your core team for your future campus or church plant. Learn how to help your core team understand their gospel identity, grow as a follower of Christ, and engage in prayer. Learn how to cultivate unity in your core team, connect them in community, and equip them to serve in the church. Learn how to equip your core team to evangelize, live on mission, leverage their influence, and engage in spiritual warfare. "What a church is at its core will determine who it is and what it does. Recruiting and developing the right team is not negotiable. It is absolutely essential." “If you’re looking for a way to develop your Core Team, this is the course for you. The Core Team course does great job of reminding you just how important it is to fully vet, filter, and recruit core team members that will help make a lasting impact on the church. You’ll gain great insight on how to get the right people and not just a crowd." "In an age of theory and complexity, this course offers simple, practical and applicable training that walks you step-by-step through the process of recruiting and developing a core team!" Lead Church Planter of Home Church in Frederick, MD. "If you’re building a core team, you need this course! You will get spiritual guidance as well as the nuts and bolts behind building your team." "I am SUPER excited about this new course on developing a core team! Having planted twice before and now on my third plant, I can't overstate the absolute importance of the content in this course. This is one of the most essential yet under-discussed topics in church planting! Thank you NewChurches.com for providing this excellent resource!" Do Plus Members need to purchase the courses separately to access them? As indicated on the Become a Member page, courses are not a part of Plus Membership. This is because we develop our courses in partnership with other organizations to deliver high quality content specific to your needs and ministry. They are filmed in HD, edited professionally, and delivered like a seminary course. Plus Members, however, do get a 25% discount on each and every one of our courses. Email daniel@newchurches.com for the coupon code. Will I ever lose access to the course? Never. Once you purchase the course, it's yours forever. This course will always be accessible via www.NewChurches.com. I'm a Plus Member, how do I use my 25% off coupon code? When you go to your shopping cart and check out, there will be a place to enter in your coupon code. If you do not have a 25% off coupon code, but you are a Plus Member, then just email daniel@newchurches.com. I have New Churches Rewards Points that I'd like to use towards purchasing this course. When you go to your shopping cart and check out, there will be a place to redeem your points. What if I have a question or need support? We are here to help. Simply submit any questions that you might have to daniel@newchurches.com. What if I don't want to create a PayPal Account? PayPal is very secure and it's easy to create an account. However, you do not need a PayPal account to purchase this course. You can checkout as a guest. Here’s our promise. 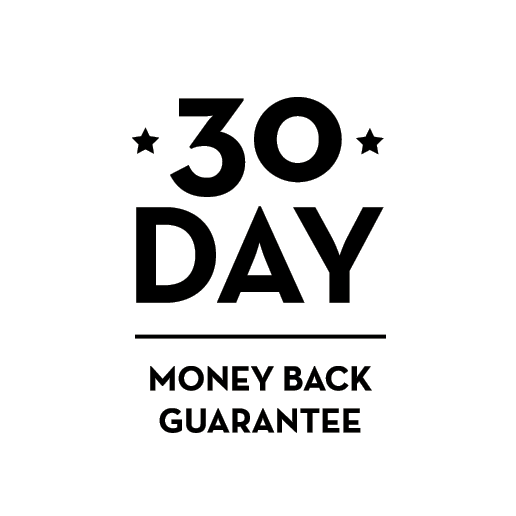 Purchase today risk-free because this course comes with a full 30-day, 100% Money Back Guarantee. If for any reason you don’t benefit from Guest Services, then we insist that you get 100% of your money back. It’s simple: Purchase the course and see for yourself. If the modules, videos, and handouts don’t help you in your ministry, then I’ll refund you 100% within 30 days of purchase. Just send me an email at daniel@newchurches.com, tell us why you were unsatisfied (so we can improve! ), and we will promptly refund your money. For a new church or campus, developing a core team is the first step—the prenatal stage if you will. The prenatal stage of new church development is similar to the prenatal stage of human development. An unborn child must develop different biological systems to enable it to function effectively after birth, and they must be in place when birth takes place for proper development to continue. The same is true for a new church. Key systems must operate, or the church may not succeed after it’s born. The core team is the heart of your church. The core team is what will ultimately help birth your new church or campus, and provide the ministry muscle required for these systems. Many ministries in your church will never even get started or be able to exist without your core team volunteers. So what are you waiting for? Click the button below to get started today.